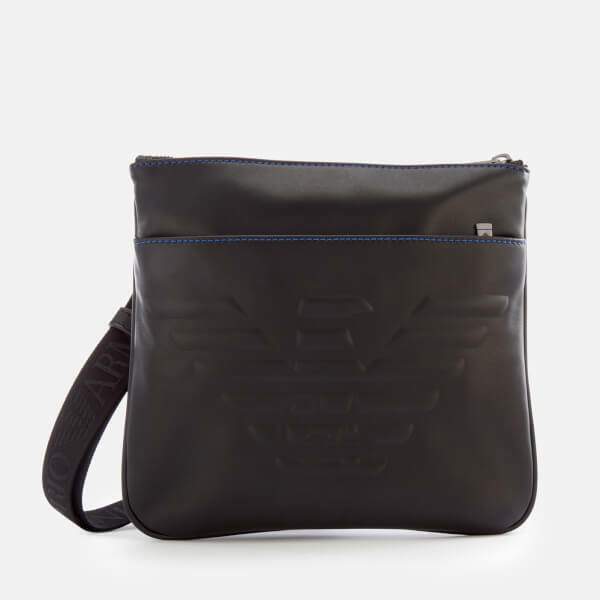 Emporio Armani flat messenger bag in in smooth black faux leather with the Italian brand’s iconic eagle logo embossed on the front. 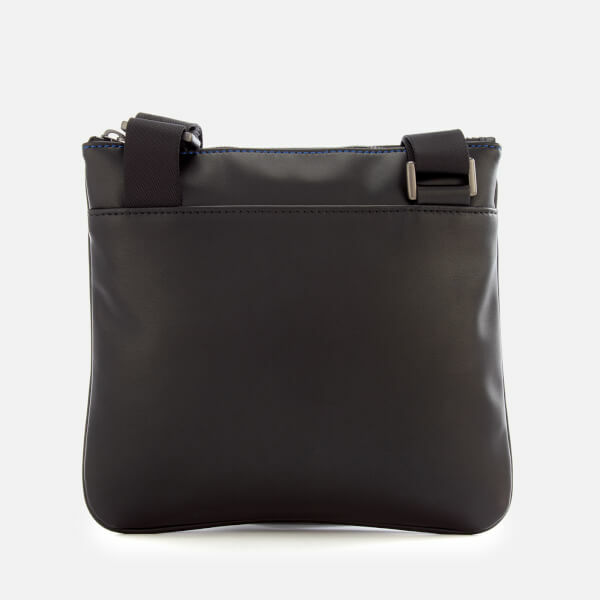 A perfect size for transporting small daily essentials, the compact bag has an adjustable, jacquard branded webbing strap for carrying over the shoulder or cross body. 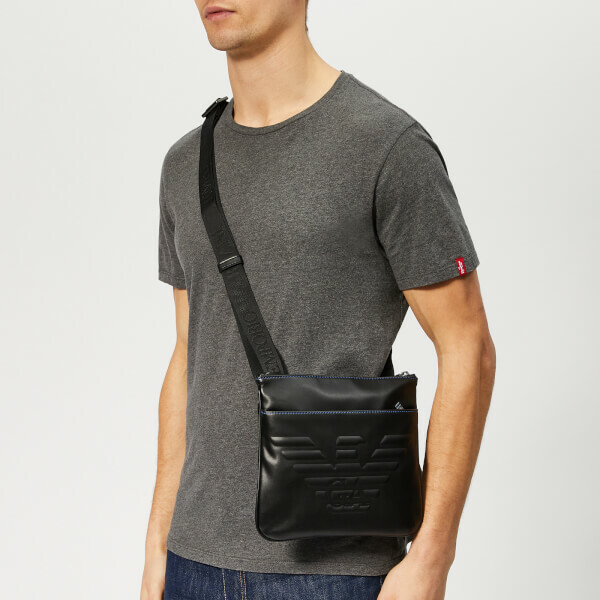 Secured with a zip top fastening, the inside of the bag is lined with logo jacquard fabric and features two slip pockets. 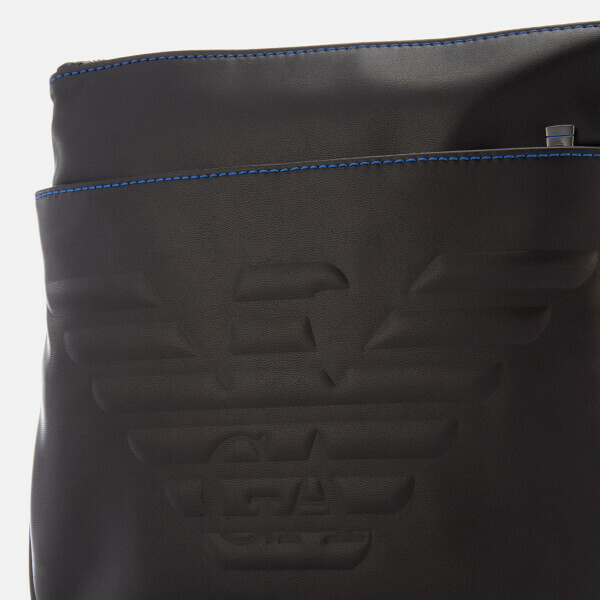 An external zip pocket, contrasting blue topstitching and logo-engraved zip pulls complete the design. Main Fabric/Lining: Polyester. Exterior Coating: Polyurethane. Dimensions: H: 22cm x W: 24cm x D: 2cm. Strap Drop: 67cm.